Hello and welcome! Today is the last day of sneak peeks and tonight at 7pm Central all the sets will be available to purchase. 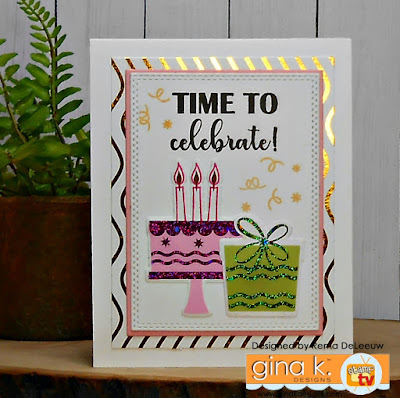 Don't forget to join us in the release party forum at StampTV! The design team and myself still have many more cards to share with you. Gina will have a video as well as the names of the winners of the three $50 gift certificates. So don't forget to comment on all the blogs today before the release party to be eligible. We also have a new illustrator joining us. Please welcome Emily Schroepfer! Some of you may have already met Emily. She works for Gina at her Glendale Wi. store Village Paper and Ink. Among other things she teaches a hand lettering class at the store and wait till you see her first set! You're going to love it! 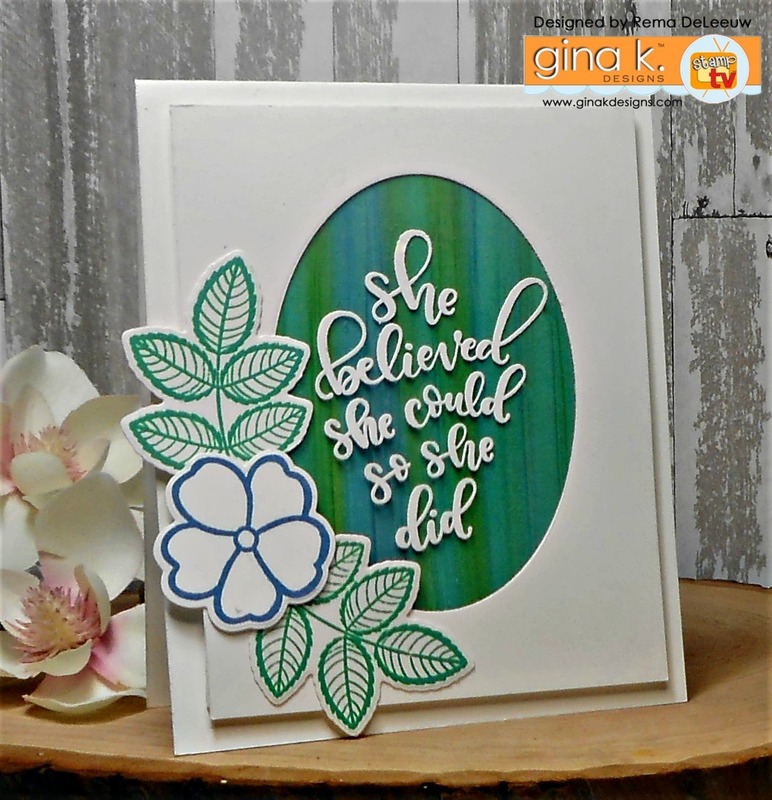 Today's peeks include a new mini set by Gina called You Make Me Smile and Emily's new set Lettered and Lovely. 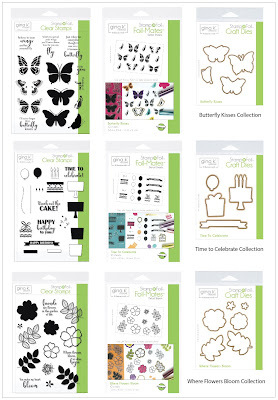 I also have a card featuring the new incentive mini set that is free this month with a $75 purchase. So let's get started! You Make Me Smile- Gina K.
Your next stop is Sheri Gilson! 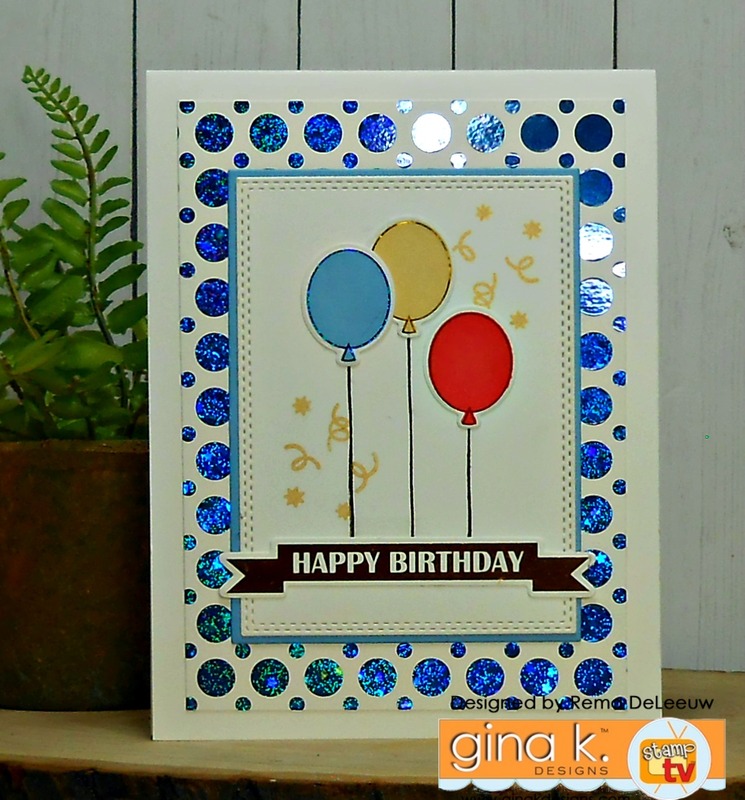 Hello and welcome to the second day of sneak peeks of the Gina K. Design March release. Today I'm sharing a couple of cards I created from new sets by Beth Silaika and Lisa Hetrick. To celebrate this release Gina K. Designs will be giving away Three (3) $50 gift certificates to the Gina K. Designs store. 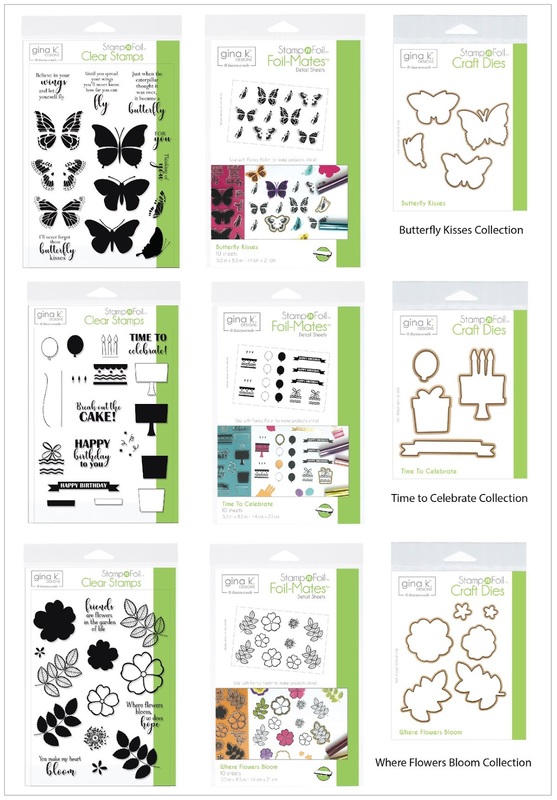 You must comment on all the blogs each day of the sneak peek preview to be entered. Winners will be announced at the release party on Thursday night. Good luck to all! First up, I have a card featuring Liam and Liz Lion illustrated by Beth Silaika. You will love the whimsical images and sentiments this set has to offer. 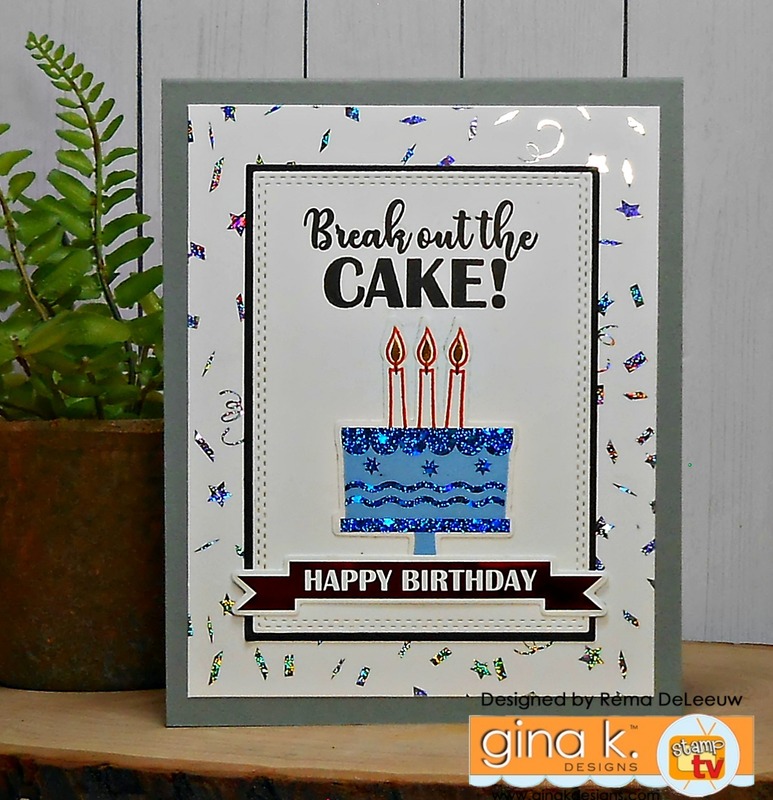 Beth is known for creating some of the cutest animal sets I have seen and some of them are even named after her own children! This set does not come with dies. The lion was fussy cut. He does have a tail which I did not use. I felt that it would clash with the colors I chose for the leaves. 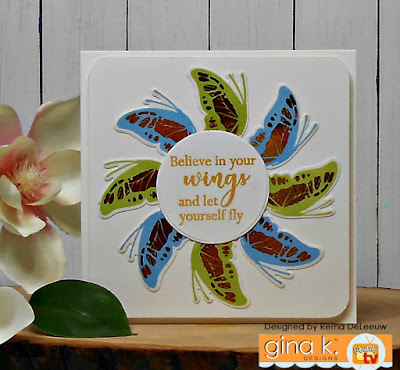 The die cut stamped leaves are not part of the set. 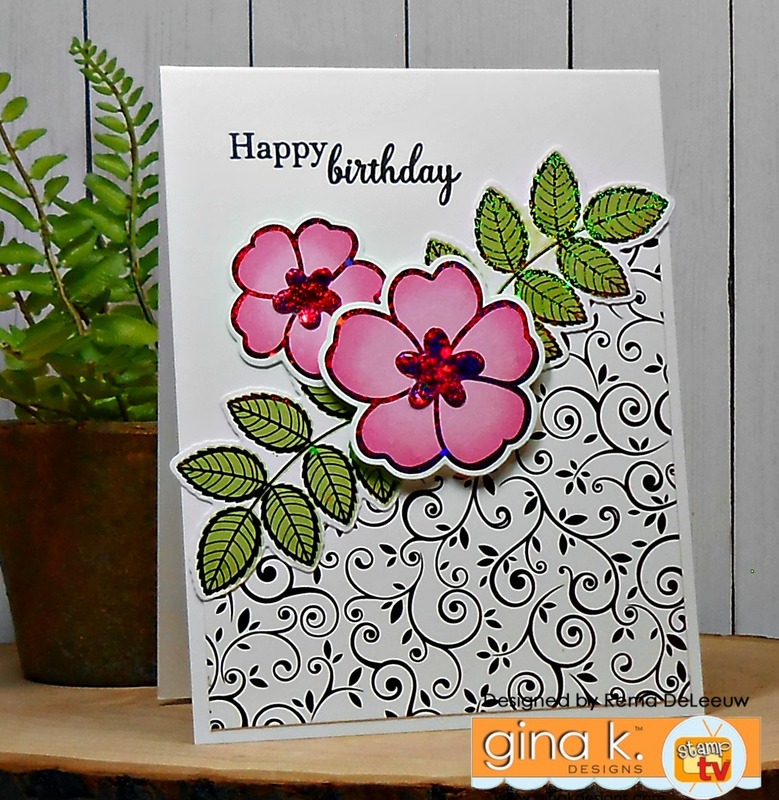 They are from a set that was part of the January StampTV Kit called Hearts and Flowers. 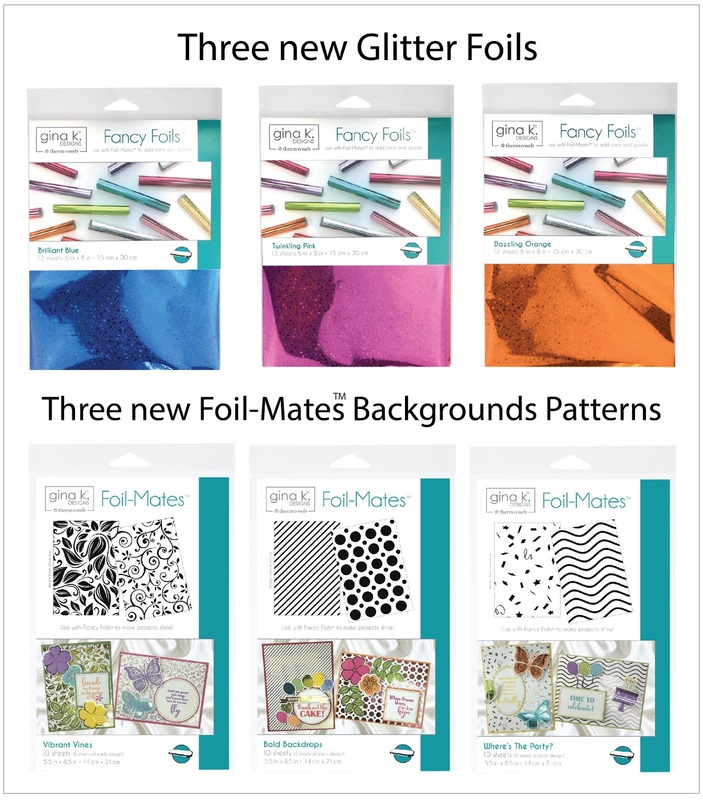 It will soon be available as a stand alone set so keep a watchful eye on it. It's amazing! 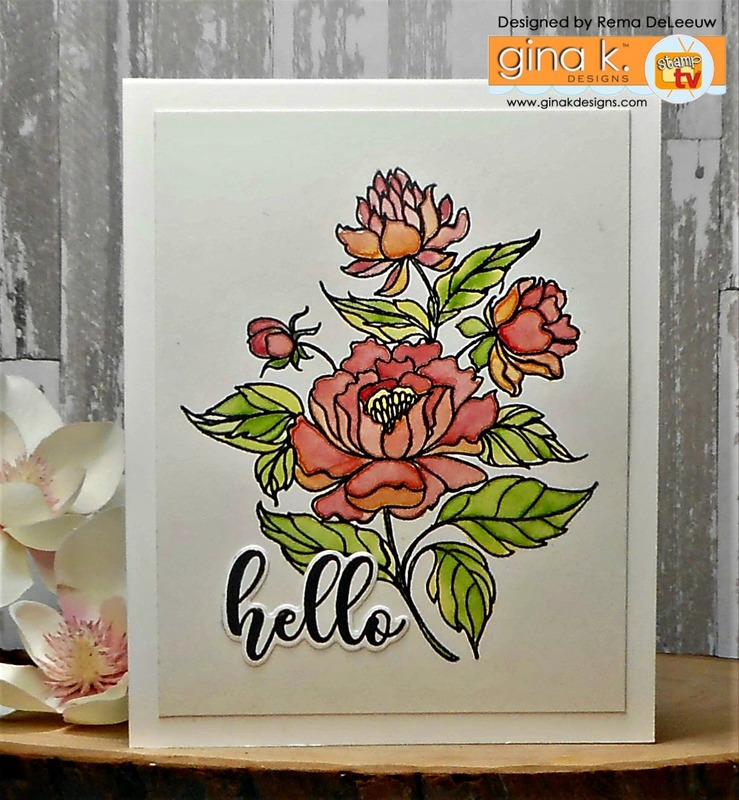 If you like florals, Lisa Hetrick's stunning new set Hello Beautiful will astound you! 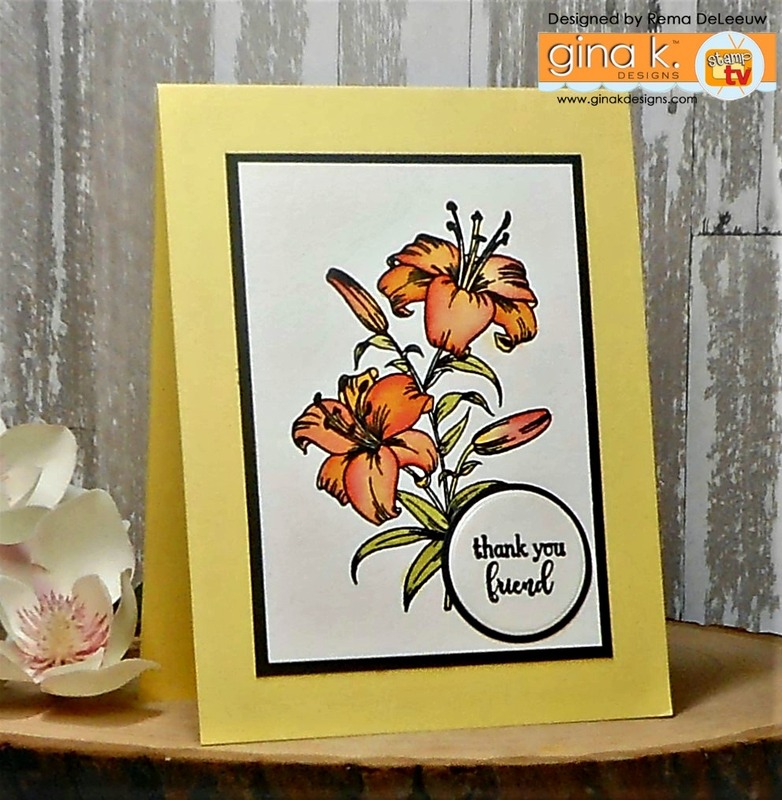 This is the second set Lisa has illustrated for Gina K. Designs and you won't be disappointed. I'm a floral kind of gal myself and can't wait to see what she has in store for us in the near future! 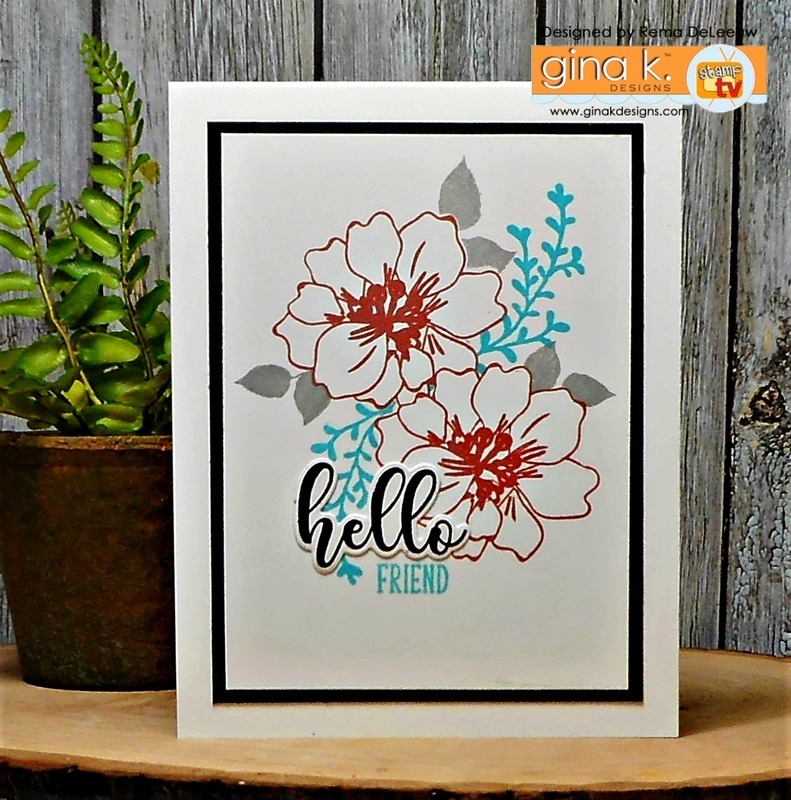 The die cut "hello" and the word "friend" was also taken from the Hearts and Flowers StampTV Kit. Hello and welcome to day 1 of the Gina K. Designs March preview! If you arrived from Laurie Schmidlin's blog you're on the right track. 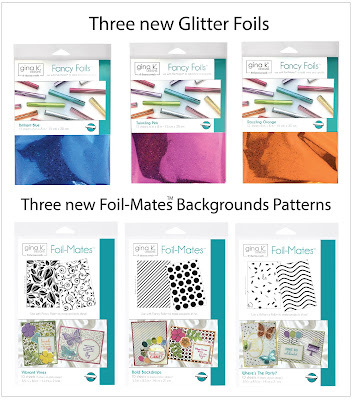 We are changing things up a bit and sharing projects featuring the brand new release before the release party. We also have a new member joining our team. Please welcome Arjita Singh! Just wait till you see the gorgeous creations she has in store for you! Today's focus is the brand new set by Theresa Momber called Framescapes: Window of Wishes. 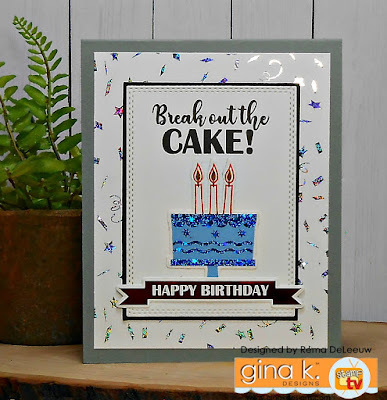 Here are a couple of cards I created for today's hop! Some items may be from my personal stash and will be referred to as OTHER. 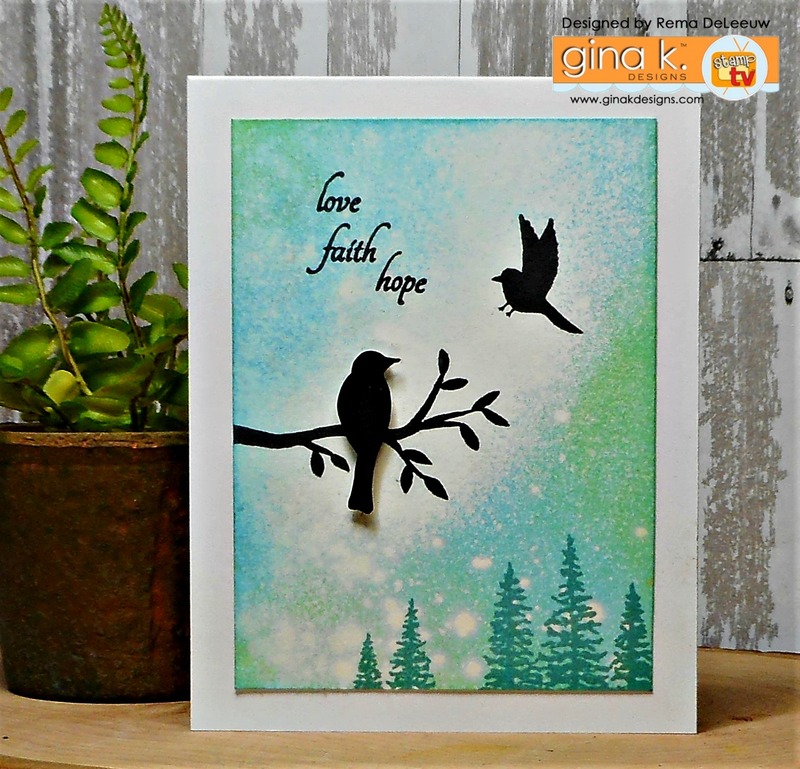 Just leave a comment on all the blogs each day of the hop for a chance to win a $50 gift certificate to Gina K. Designs. Three (3) winners will be announced at the release party on Thursday night! Hello! 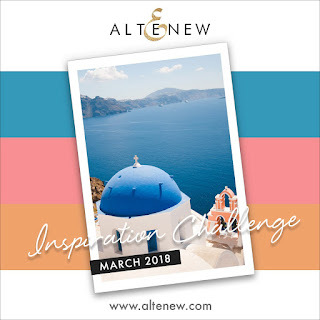 I'm back again with another card I created for the Altenew March Inspiration Challenge. 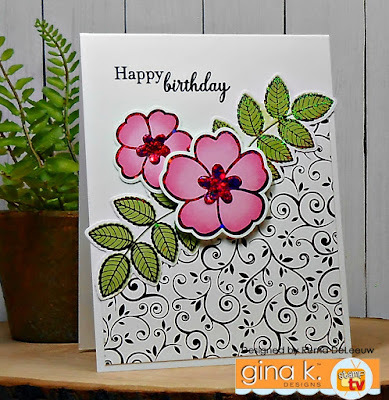 While I still had the 3D Layered Rose Die laying on my craft table I wasted no time put this card together. I stamped the background with images from the Beautiful Inside stamp set. Hello and welcome! I am participating in Altenew's March Inspiration Challenge. 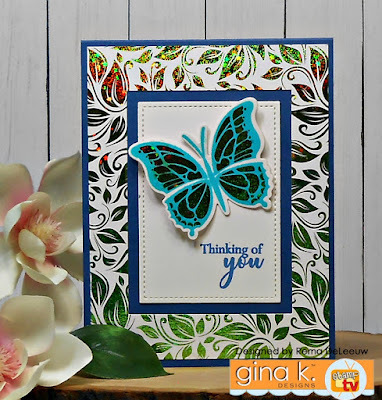 For my card today I have chosen the newly released 3D Layered Rose Die and a sentiment from Sewn With Love.